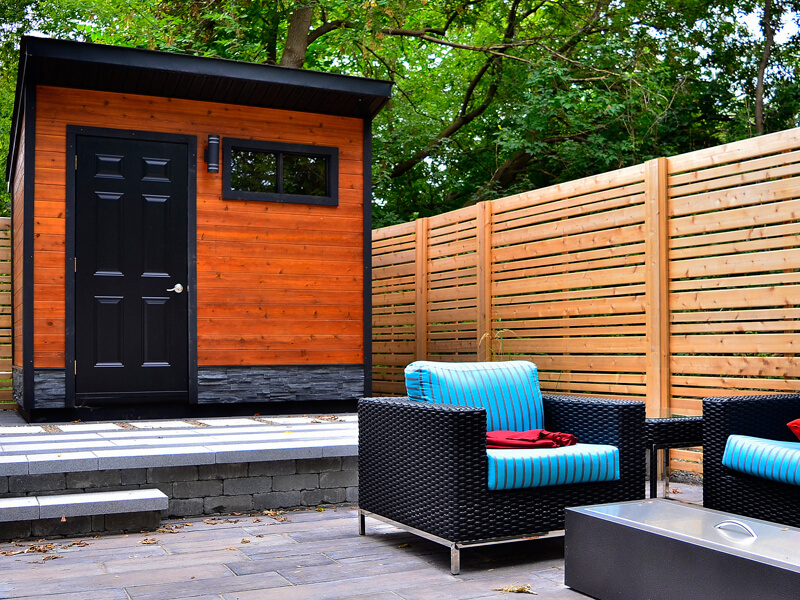 Our design team does not take any project lightly. 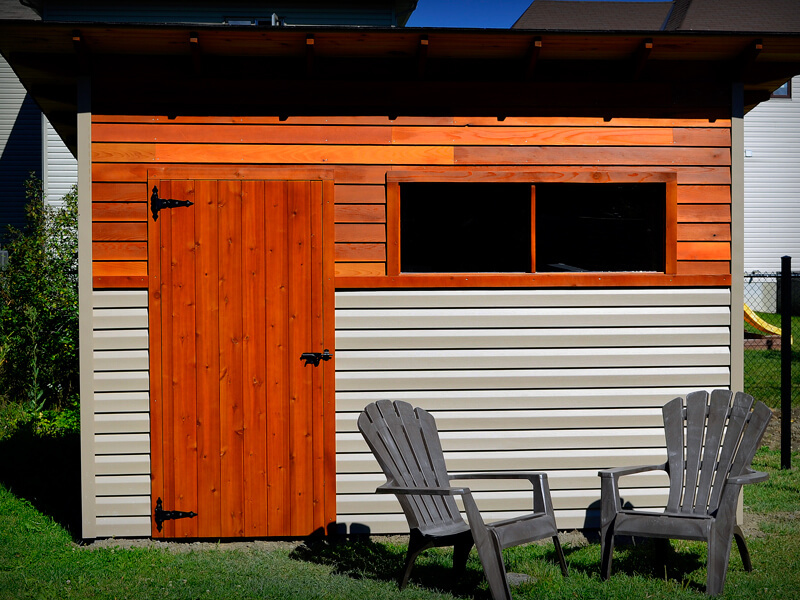 A well-designed storage space will maximize your space and take advantage of each corner of your shed. 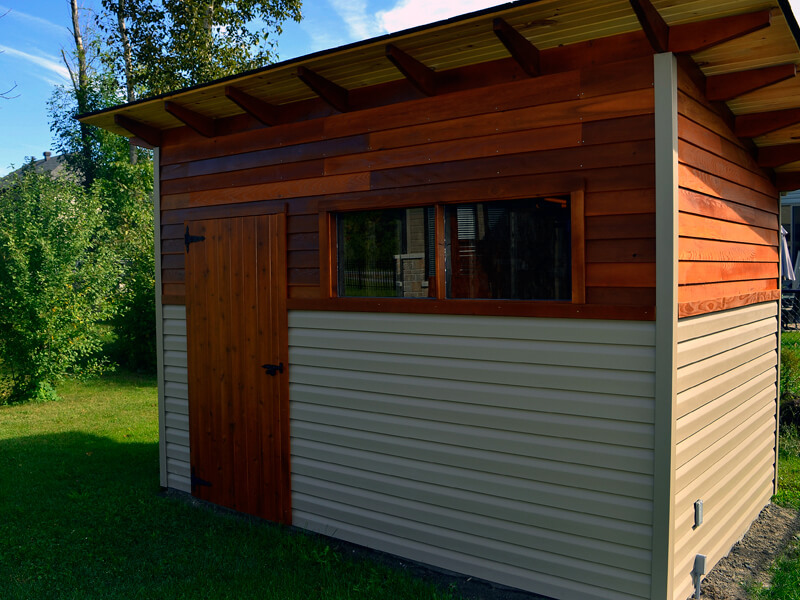 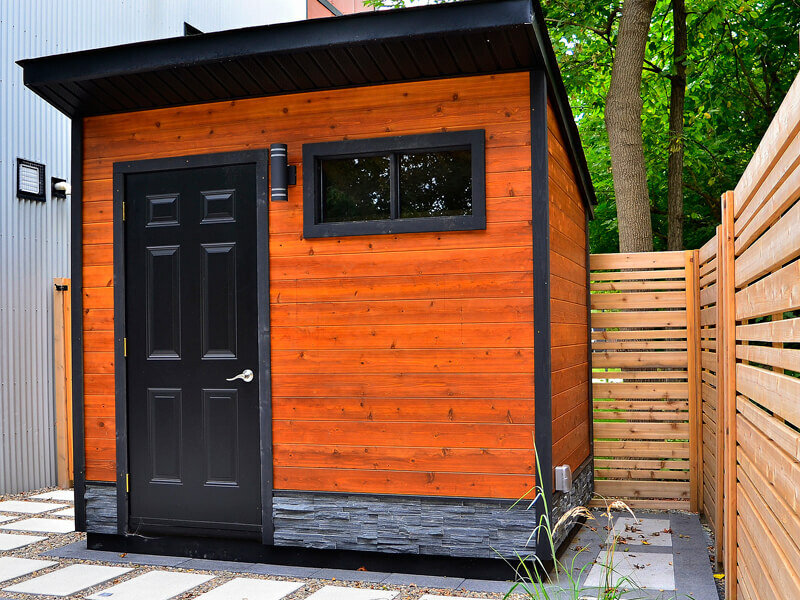 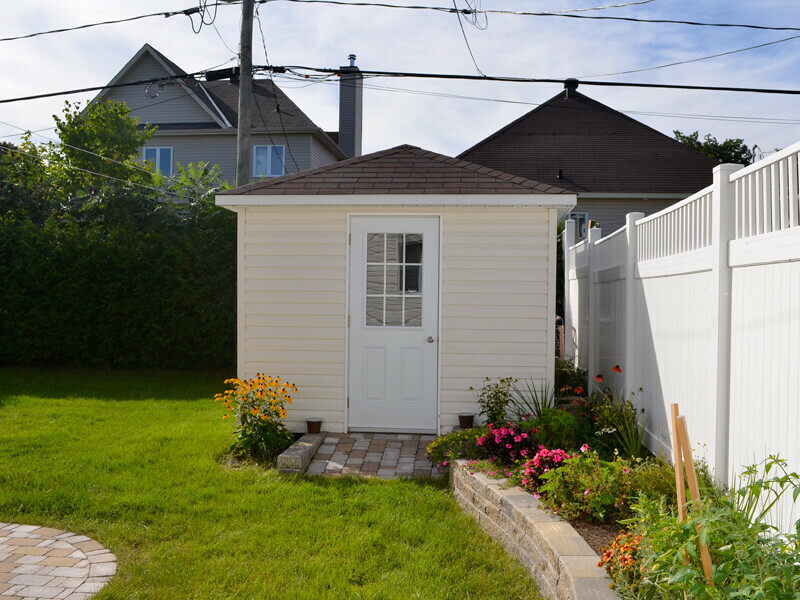 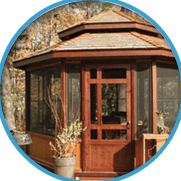 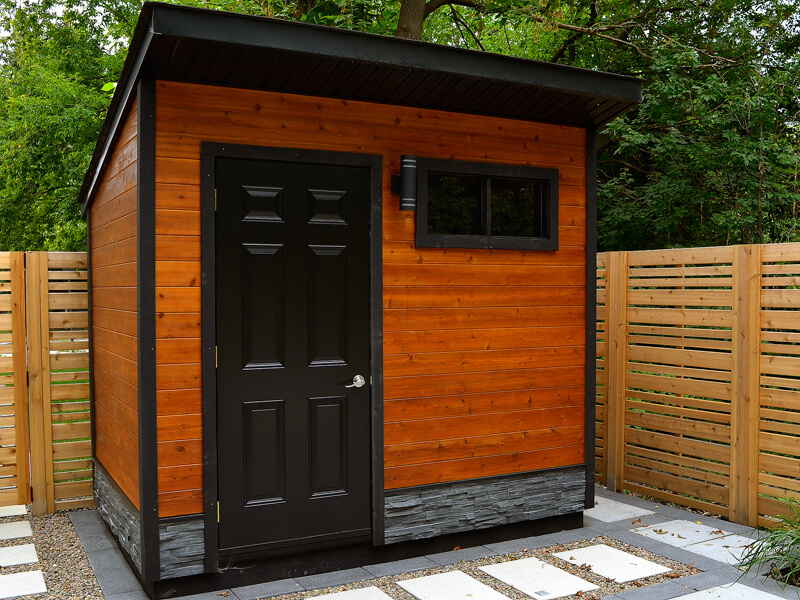 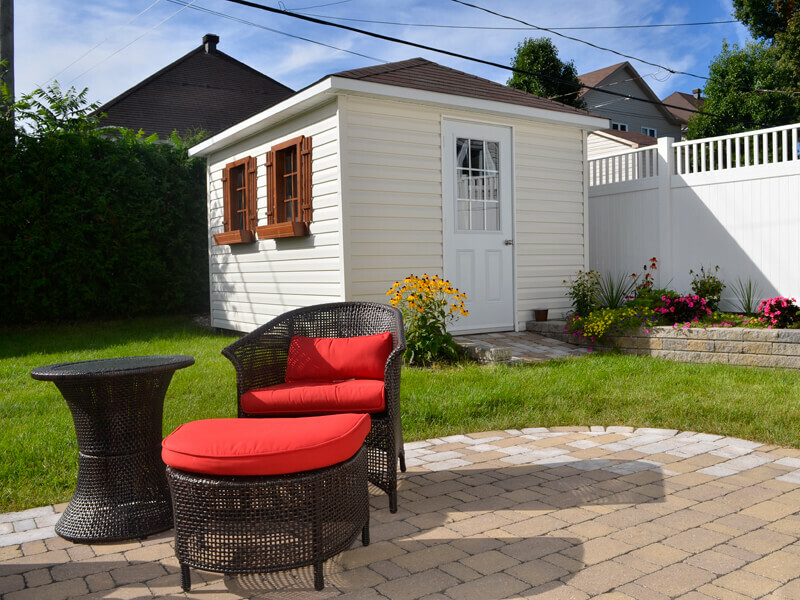 Before proceeding with the purchase of your shed, our team will take your needs into consideration. 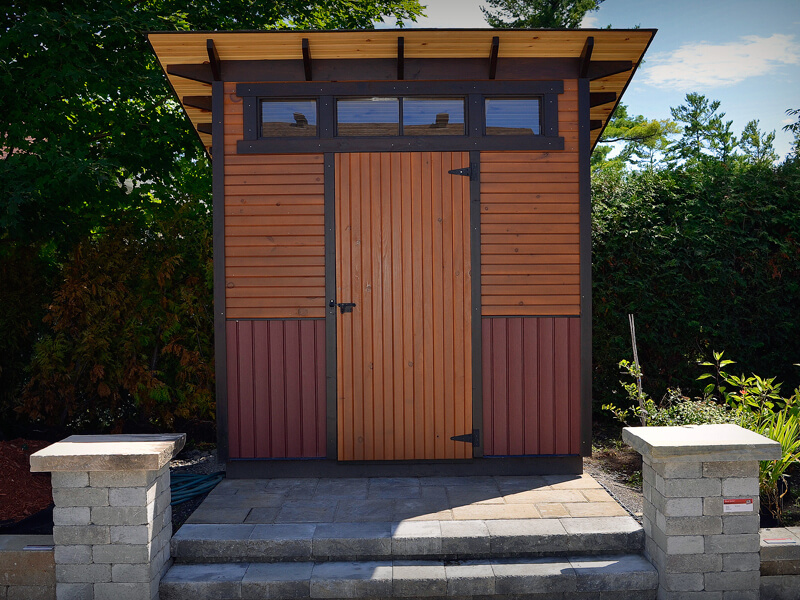 Whether it is for storing a few gardening items, bicycles or even for a tractor, Lumbec can build a custom shed for you. 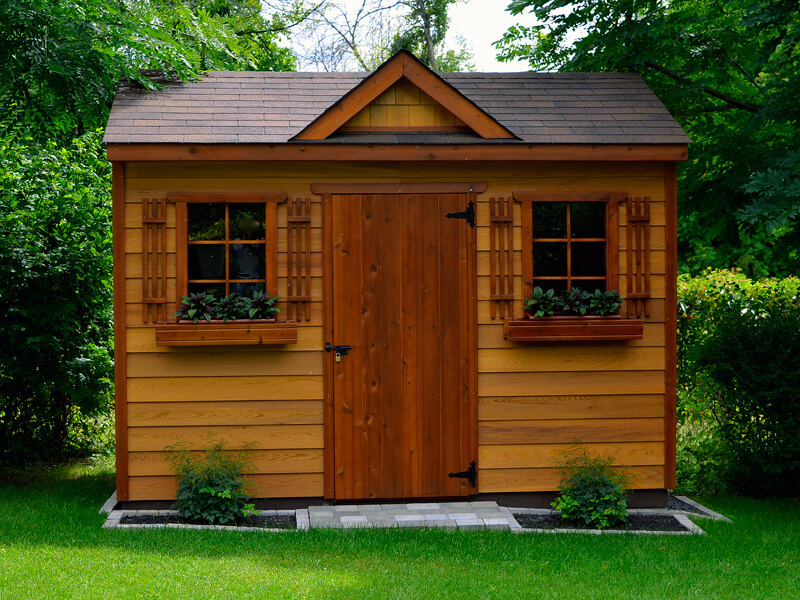 Lumbec has been manufacturing and installing sheds since 1978. 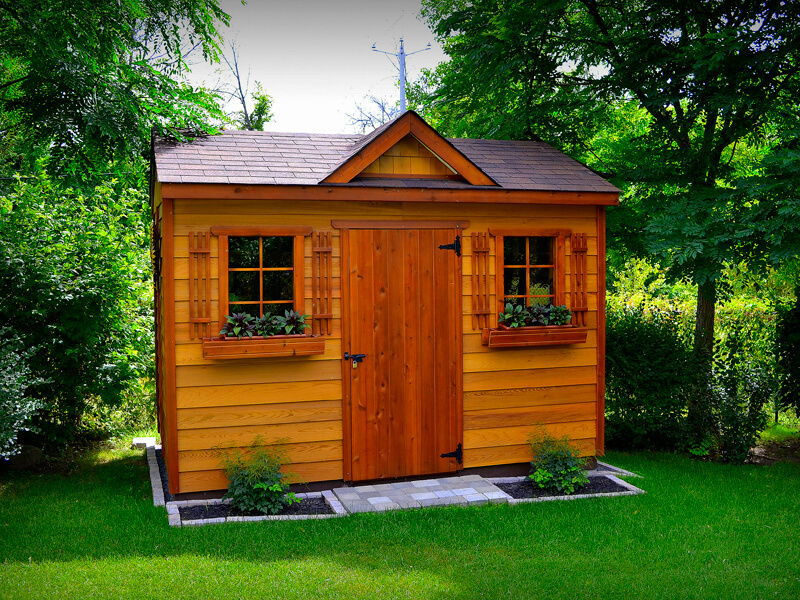 We have made our way into the market and thanks be to our classic shed models. 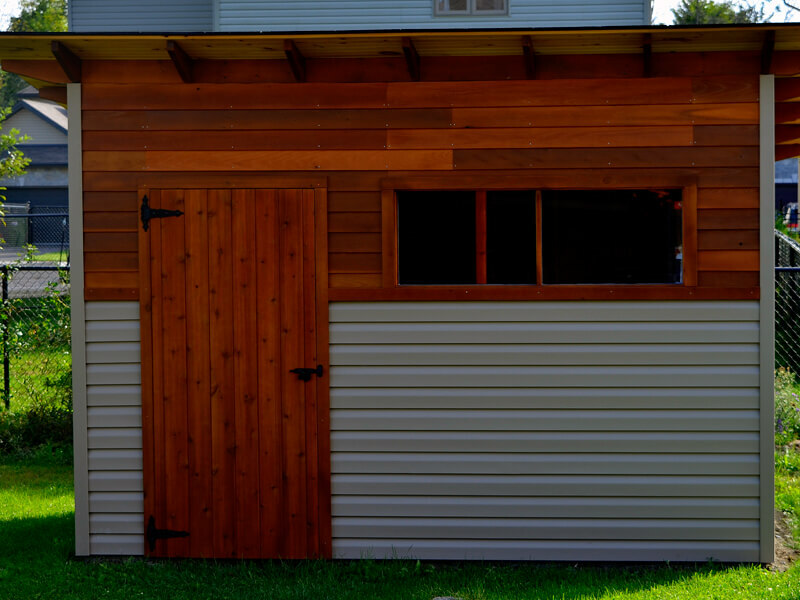 Despite the basic models, you can improve your shed with several choices of siding, dimensions and color of doors and windows. 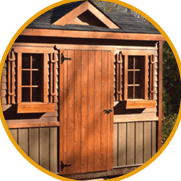 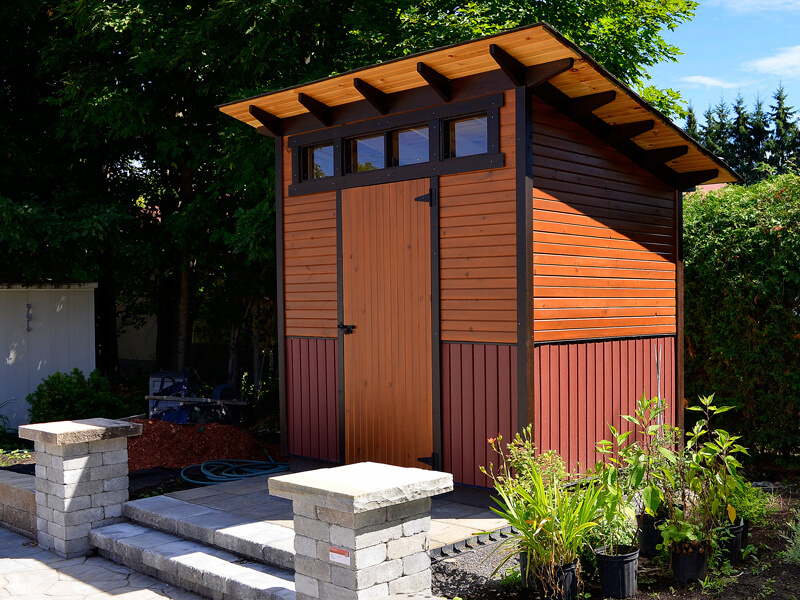 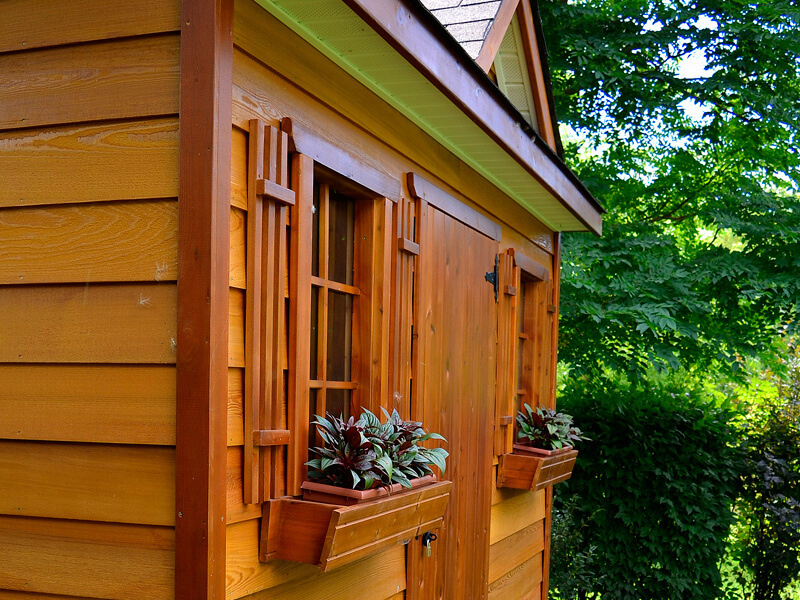 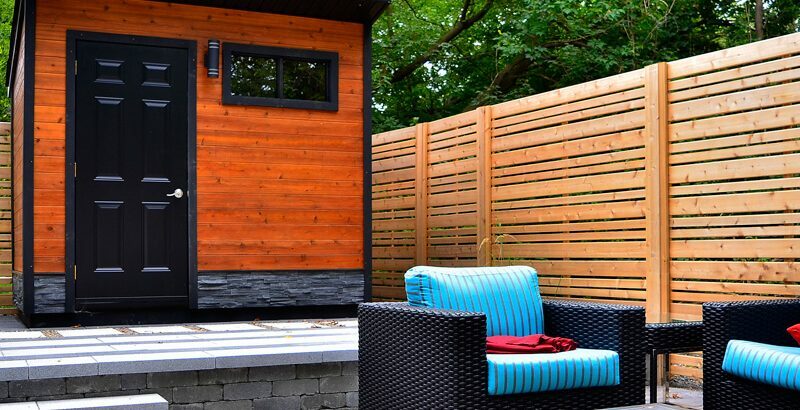 Since our company’s mentality is to design products to your image, even the traditional shed is custom built. 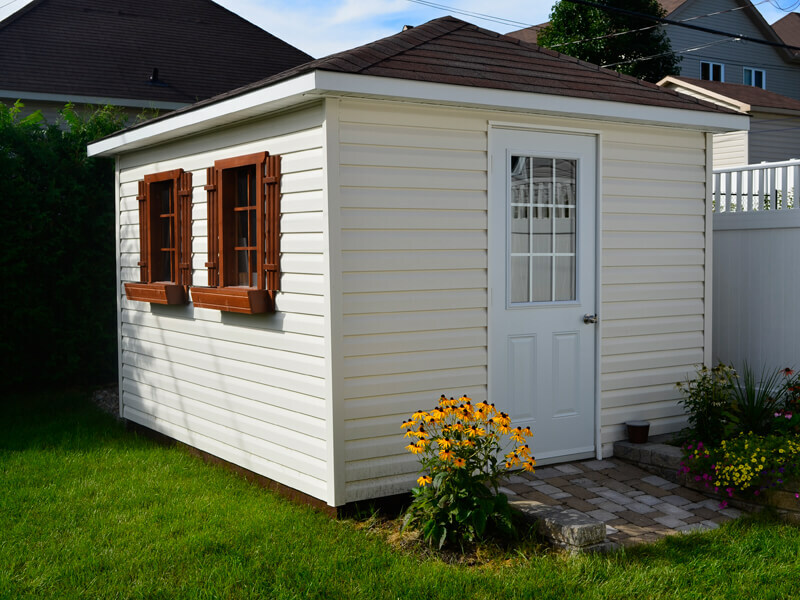 All our sheds are manufactured at our local shop in Aylmer. 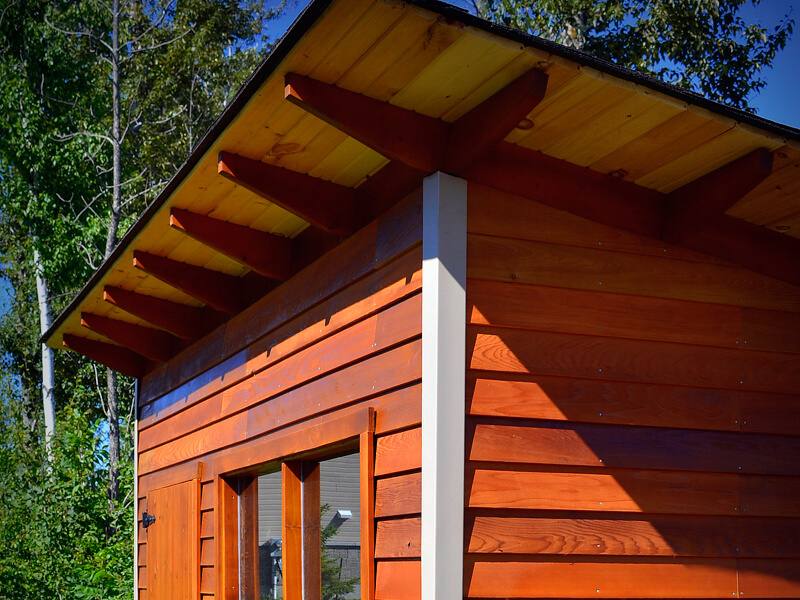 We proceed to manufacture the walls and install the coating at the factory. 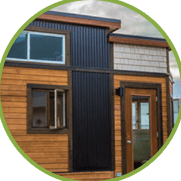 This method minimizes our on-site installation time. 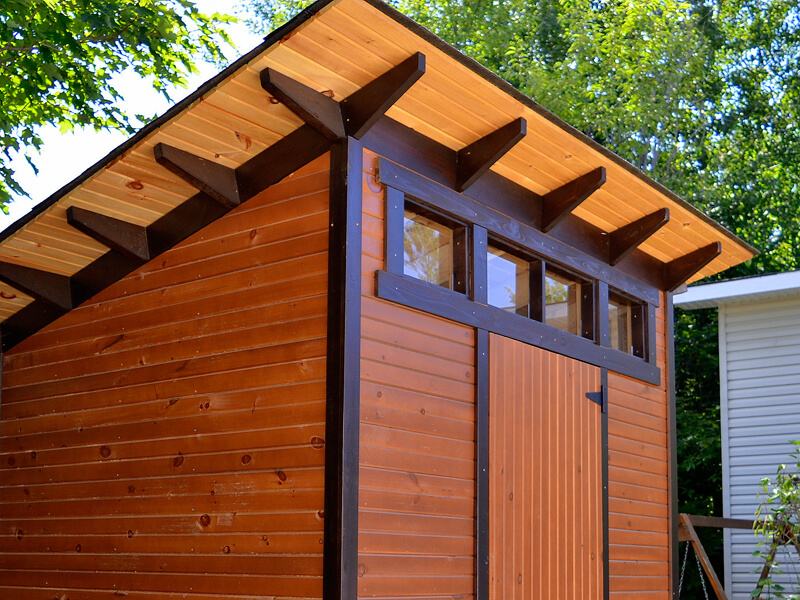 The installation of a traditional shed is mostly done in one day.